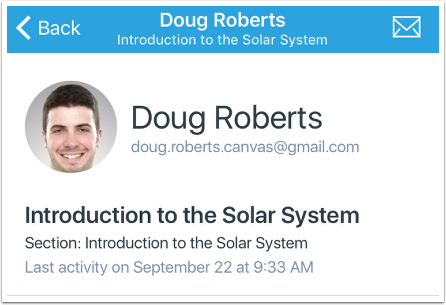 In Canvas Teacher, you can open context cards to view information specific to students and other users in a course. 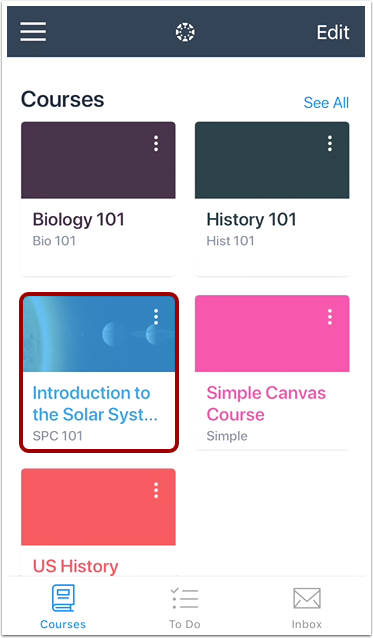 Context cards can be opened by tapping a user's name from the People page, Submissions list, SpeedGrader, SpeedGrader comments, inbox messages, announcement replies, and discussion replies. This lesson explains how to open context cards from the People page. 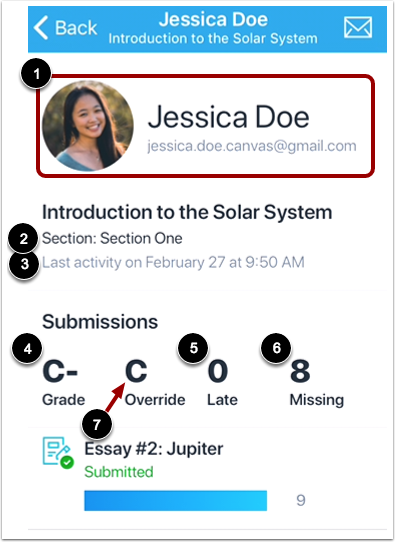 The context card for a student includes their contact information , section , date/time of last activity , grade , number of late assignments , and number of missing assignments . 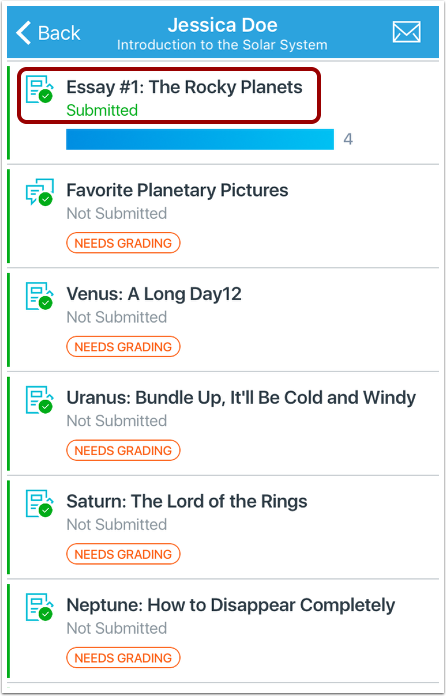 If a final grade override has been applied for the student, the override grade will also display on the context card . 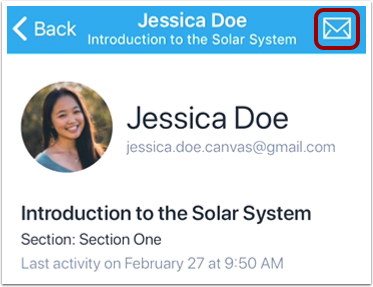 Context cards for users other than students include contact information , section , and date/time of last activity . You can view assignment information from a student's context card. 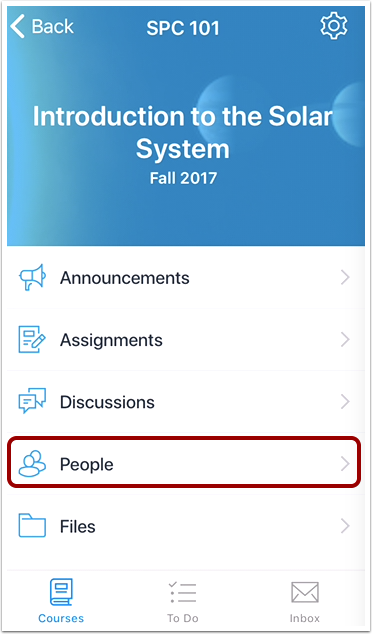 If the student's context card was opened from the People page, you can also open student submissions. To view or grade a student submission, tap name of the submission. To message a user from a context card, tap the Message icon. 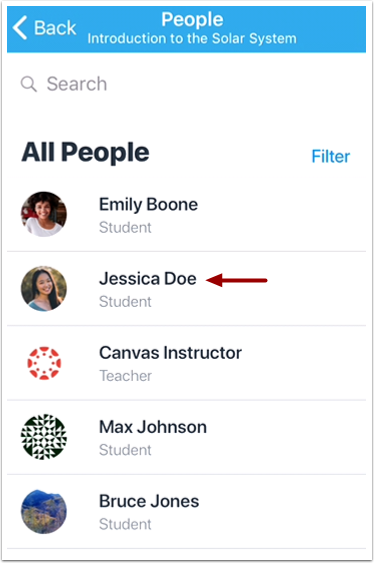 Previous Topic:How do I view People in the Teacher app on my iOS device? Next Topic:How do I view Quizzes in the Teacher app on my iOS device? Table of Contents > Courses > How do I view context cards in the Teacher app on my iOS device?